If you have decided to take the plunge and try Indian cooking, do not feel intimidated. Get started with some easier recipes that will not scare you away. These recipes contain simple ingredients, taste delicious, and make you want to give yourself a pat on the back once you're done making them. Some of the best Indian dishes are those that are kept simple. Check out these easy Indian recipes that are perfect for you if you are an at-home cook or want to cook something in a jiffy. Just one bite of any of these dishes, and you'll be a fan. 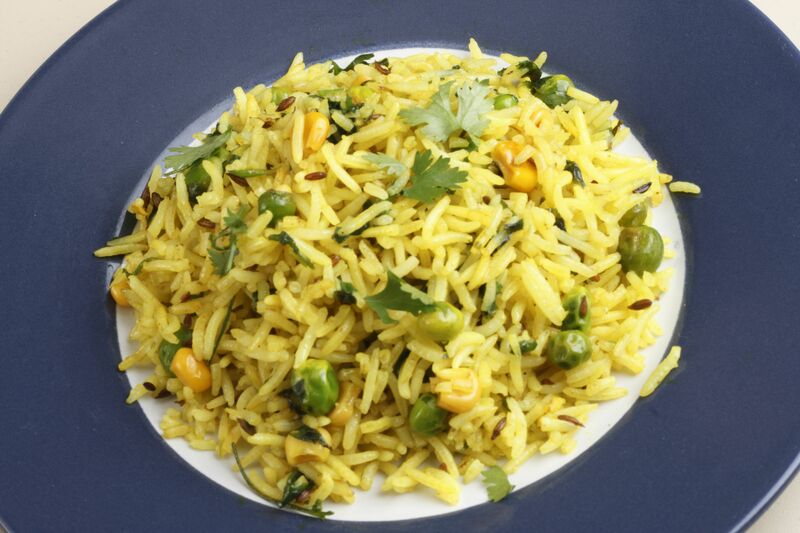 Jeera rice is a dish consisting of basmati rice and cumin seeds. It is a popular dish in North India and Pakistan as an everyday rice dish. Jeera is the Hindi/Urdu word for "cumin." If you have ever had naan bread, then imagine filling that bread with meats, vegetables, or just about anything. A stuffed bread is called paratha. Kheema paratha is filled with spicy minced meat made from a ​mixture of masala spices, vegetables, and ground beef. Masala kheema or minced meat can be made with any meat you prefer, although the most popular is ground beef. This dish is extremely versatile. You can tweak a change to the masala, which can result in a great new taste each time, or once it's done, you can fill it in bread for a tasty paratha dish. Indian chicken pulao, or pilaf, includes ingredients like vegetables, meat, or both. Long-grained rice like basmati is often used to prepare pulao. You can use any cut of chicken for this recipe but boneless, skinless thighs or breasts are the best. The meat is marinated for only 15 minutes while you prepare the other ingredients. This vegetarian, tomato-based mutter paneer curry dish takes 45 minutes to make from beginning to end. This dish uses fresh, farmer's cheese, peas, and tons of spices like ginger, cumin, garam masala, coriander, turmeric, and chilies for an intense flavor. It is usually served with bread or on top of a bed of basmati rice. These fresh, paneer kebabs are quick to make; they take no longer than 10 minutes to cook. You will want to marinate the cheese in a refreshing yogurt-based paste for a few hours, so plan ahead for this dish. You can make this daal palak ka shorba from scratch with split lentils and pigeon peas in under an hour. If time is really an issue, use a pressure cooker and you can be done in half the time. This recipe for Indian badam makes delicious spiced almond milk. Badam is the Hindi word for "almond." This drink is popular as a summer cooler, but if you warm it up, you can serve it to warm you up. Badam milk is delicately flavored with cardamom and made of almonds and pistachios. As an option, you can add kewra, a popular spice found in Indian markets. This drink is sometimes called badam pal. The drink is not only tasty but, thanks to the mix of nuts, it packs a mighty nutritious punch as well. This creamy kheer (rice pudding) is delicately flavored with cardamom and is full of nuts. In the South, kheer is called payasam and in the East, it is known as payesh.